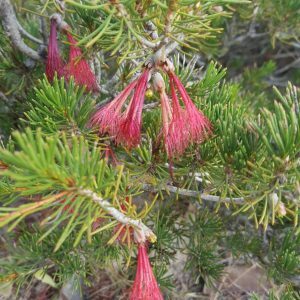 Also known as the “one-sided bottlebrush”. 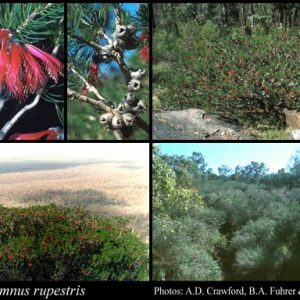 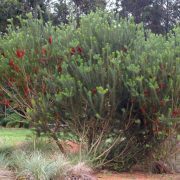 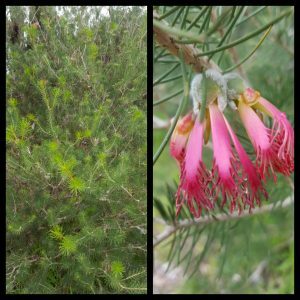 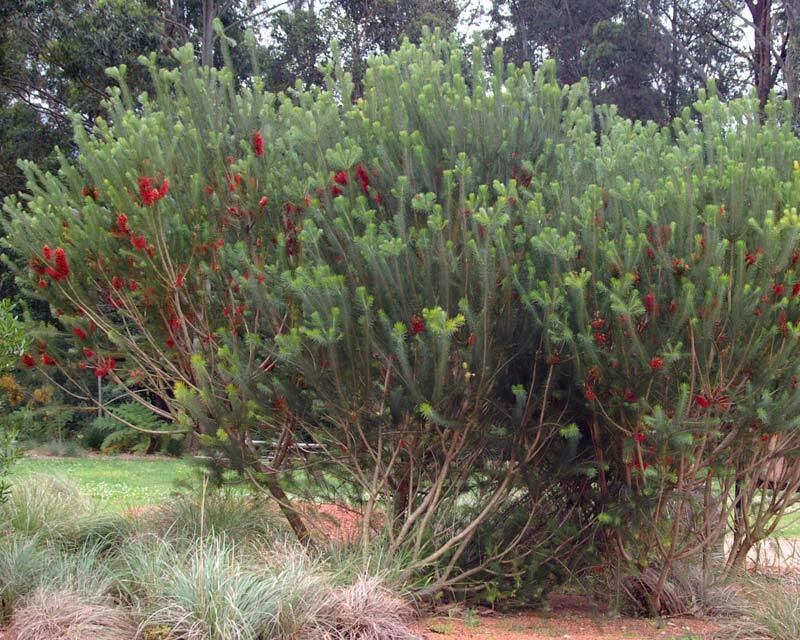 A dense shrub with deep green pine like foliage, bright red flowers protrude from the branches from spring to summer. 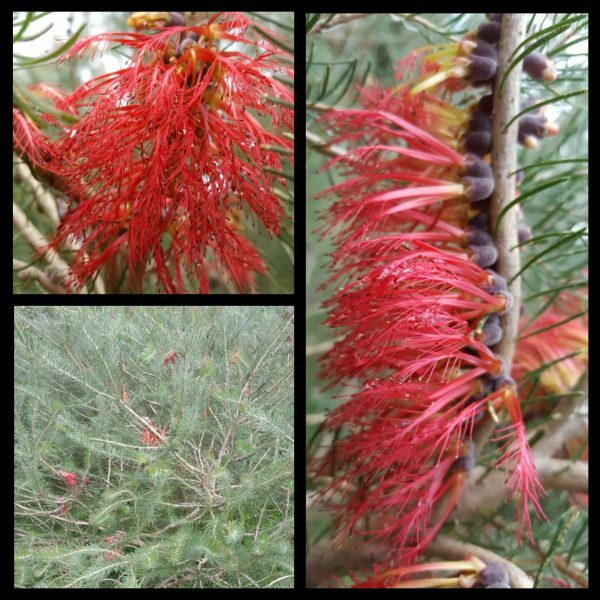 Uses: ornamental, landscape, low screen, some coastal exposure.